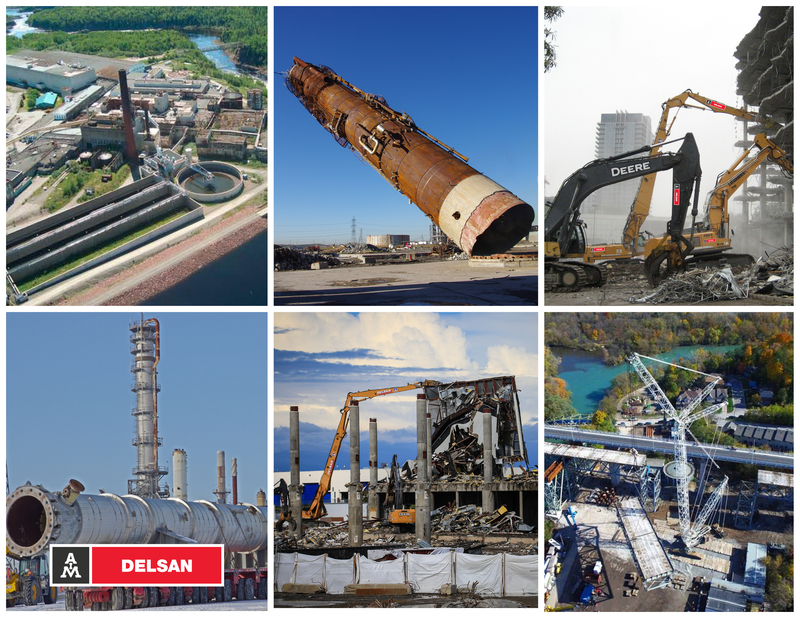 / CONTEXT HBT AIM (Delsan AIM civil engineering division) was awarded a contract with G.T.S. Contructors Inc. to demolish a portion of the Autoroute Bonaventure spanning the Lachine Canal in Montréal.The scope of work involved the reconstruction of four spans of elevated highway and the restoration of the existing piers. The original structure consisted of a cast-in-place concrete deck supported by pre-stressed concrete “AASHTO” girders bearing on concrete piers.The general contractor constructed a berm in the canal to accommodate the demolition and construction equipment so that most of the work could be executed from beside the highway on ground level. / DEMOLITION The demolition and construction work had to be completed in five phases in order to keep the highway operational during the project. HBT completed the demolition portion, working from the berm using a company-owned, high-capacity hydraulic jack lifting system, as well as conventional equipment. / EQUIPMENT FLEET For each phase, the entire road deck and associated beams of each span were separated from adjoining structures by either saw-cutting or selectively demolishing portions of the roadway using small equipment. The section of roadway was lowered onto steel-framed supports using the lifting system. Excavators equipped with shears, pulverizers, or hydraulic hammers, were then used to complete the demolition work.